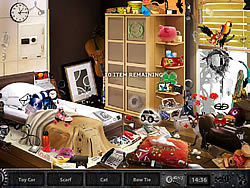 This is an hidden object game with multiple puzzles. Use the mouse cursor to click or drag objects. Press on the Hint button to gain additional help with finding clues.